They say, “nothing you wear is more important than your smile.” A great smile is worth a thousand words. It shows confidence, happiness, and fun. However, it does take a little work to keep it that way. Luckily, we provide some daily tips to help keep your teeth healthy and help you prevent dental problems. Brushing your teeth is important. It helps to wash away germs and bacteria that can cause tooth decay and gum disease. The American Dental Association recommends you should brush your teeth at least twice a day, for two minutes each time. 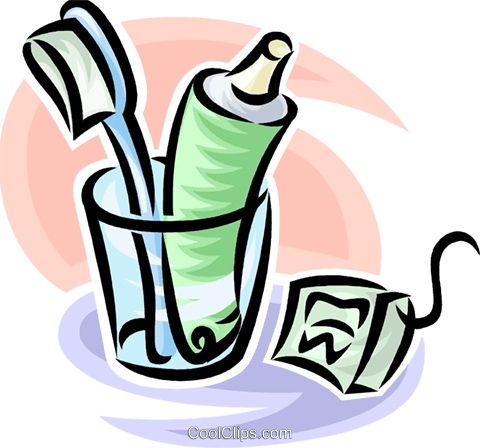 Use a soft bristle toothbrush, and brush both your teeth and tongue. For added germ-fighting protection, use a toothpaste with fluoride. Make sure you brush every morning. Plaque builds up overnight causing bacteria that leads to bad breath. If you have a cup of coffee in the morning, wait at least 30 minutes to brush your teeth. Because of how acidic coffee is, it could cause a lot of damage to your teeth if you brush too soon. You should also add flossing to your daily routine. Flossing helps remove food and buildup between the teeth and along the gum line that brushing misses. Can Certain Foods Cause Dental Problems? Certain foods you eat, whether or not you are a daily brusher/flosser, can break down the enamel, cause tooth decay, and other serious dental problems. Sugary beverages like soda cause acid in your mouth that break down your teeth’s enamel. When the enamel begins to break down, your teeth are more prone to decay. It is best to avoid soda, even diet soda. Candy also isn’t the best choice if your goal is a healthy mouth. We aren’t saying to avoid it at all costs, but if you want to indulge once in a while, choose your candy wisely. Sticky and chewy candy like gummies, dried fruit, and suckers. Because it takes a while to eat these candies, they tend to stick to your teeth much longer, giving the acid and bacteria from the sugar more time to do its damage. Can You Take Too Good of Care of Your Teeth? Yes! It may sound silly but, you actually can overbrush your teeth. Brushing too many times a day or for longer than 4 minutes at a time, could begin to wear down the enamel of your teeth. As mentioned earlier, this makes your teeth more prone to tooth decay and other problems. In addition to brushing too much, you also want to avoid brushing too hard. You can damage the enamel of your teeth or your gums. If you damage your gums, the tissue around your teeth can become weak, allowing bacteria to get into your teeth. Taking good care of your teeth can help avoid future dental problems. Brushing twice a day, flossing, and avoiding high sugar foods and beverages can also help keep your teeth healthy. Dental Implant Procedure Steps: What to Expect? Assuming you have already booked or completed your consultation, let’s get started with the dental implant procedure steps. Your tooth has been removed and you are ready to get it replaced. The first step is the placement of the implant. The dentist will be surgically placing the implant in the upper or lower jaw. This does require some drilling as the implant must fit snuggly into the jawbone, acting like the root of your newest tooth. When the implant is placed, a “healing cap” is placed over it to protect it during step 2. It’s important to note that bone grafting may be required either before or during the implant placement. If this will be needed the doctor will discuss this with you beforehand. Once the implant is in place it is now time to heal. This is critical during the dental implant procedure steps. You have to let the bone in your jaw grow around the implant. This takes some time but is what makes a dental implant so strong and why implants are highly recommended as the best longterm tooth replacement option. Osseointegration is big word for the implant “fusing” to the jaw bone. The bone locks the implant in place and grows around it to reinforce it, just like your other teeth. This process usually takes a few months. Your healing will be monitored by the dentist. This is the step you’ve been waiting for! The dentist will create a custom crown for you that will look, feel, and act as your new tooth. If you are replacing more than one tooth then a bridge or denture may be needed instead of a crown. What is most important about this step is that you will leave the dentist’s office with your new tooth. No one will be able to tell that you had a missing tooth in the first place. The process and procedure is complete. Congratulations! Healthy teeth might be something you don’t think about until they are (for whatever reason) no longer healthy. While some people are more susceptible to tooth decay than others, you can take some basic steps to keep your teeth healthy, such as brushing regularly and attending dental appointments every six months. But certain pitfalls also exist that can be damaging to your teeth, and they aren’t all that uncommon, either. Read through these seven tooth-health hazards to see what you might need to change in your dental care routine. Although your teeth may be sharp, they aren’t meant for tasks like tearing open plastic packaging or chewing on fingernails. Incidentally, biting nails can also even lead to gingivitis and tooth loss, according to oralanswers.com. While sharp, the tip of each tooth is the thinnest and weakest part, so it's subject to chipping or even breakage if you’re chewing and tearing things that aren’t food. Ice is another hazard to teeth. Although it’s made of water (no sugar!) it still has a very hard surface that can harm tooth enamel or even cause a broken or chipped tooth. Remember, ice is for chilling, not chewing! We all know candy is sticky and sugary and increases the risk of cavities, but other healthier foods might be just as damaging. Fruit smoothies and juicing are two health fads that are increasingly popular. While these concoctions are high in vitamins and minerals, their sugar and acid content is also high, which can be a problem for teeth, according to a BBC news report. It’s best to sip these drinks through a straw, along with plenty of plain water to rinse your mouth afterward. And, as always, keep your intake moderate. Dried fruit and gummy vitamins may seem healthy, if not harmless, but they too can mean bad news for your teeth. 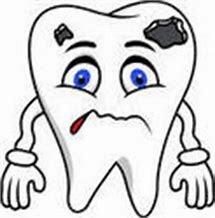 Sticky substances that remain on the tooth break down to form acids that start the decaying process. Rinse well after eating dried fruits, and stick with sugar-free or pill-form vitamins. It’s fairly common knowledge that soda is bad for your teeth due to the high amount of sweeteners, carbonation (which erodes enamel) and caffeine, which can dry out the mouth. Dentalhealth.org explains that a dry mouth is one that’s especially vulnerable to decay because your saliva acts as a rinsing agent that helps clear off harmful bacteria. But are there other drinks that dry out your mouth? Coffee and tea aren't all bad, but they can become a problem when consumed with too much sugar. Sugary add-ons and the drying effects of caffeine to your mouth mean additional risks of cavities. Again, limit added sugars, drink through straws and drink water to rinse your mouth afterward as much as possible. Consistent alcohol use without extra care can also damage your smile. Much like caffeinated beverages, alcohol reduces the flow of saliva in your mouth. Heavy drinking also increases the risk of oral cancers. This happens when nutritional deficiencies associated with heavy drinking can lower the body’s ability to use antioxidants in preventing cancers, according to the Oral Cancer Foundation. Just as a lack of dental hygiene can be harmful to your teeth, becoming overzealous in your routine can also be damaging. Those who use a tough-bristled brush and repetitive back-and-forward motions, described at oralwellness.com, may be wearing away enamel and even contributing to receding gums. Instead, learn to use a soft-bristled brush with a small lateral brushing pattern at a 45-degree angle to the tooth and gumline. Make sure to be careful when flossing so you don't damage your gums, too. In a stressful and fast-paced society, it’s easy to store your stress in undesirable places. It’s for this reason that more and more people are experiencing problems caused by grinding or clenching their teeth at night. You may not even be aware you are doing it, but facial and jaw soreness in the morning is a telltale sign, according to the Mayo Clinic’s article on bruxism. Waking up with clenched teeth is also a clue. Grinding and clenching your teeth (whether during the day or night) can result in significant enamel erosion and even cracking or chipping of your teeth over time. If you think you might have this problem, talk to your dentist about getting a specially made mouthguard to prevent further damage. Add tooth loss and tooth decay to the long list of reasons abusing drugs is bad for your health. "You may have noticed that many drug addicts have bad teeth," WebMD reports. "That's because drugs such as methamphetamine (meth), heroin, cocaine, ecstasy, and even marijuana can cause problems for your teeth and gums." One study cited showed 96 percent of meth users had cavities and the term "meth mouth" is used to refer to the condition of stained and damaged teeth. Usually, tooth pain is enough to get people in to see their dentist, but not always. Some people might have a swollen gum here or a sensitive tooth there that they might deem to be “not a problem.” But as with anything in dental health, it’s always better safe than sorry. Problems from decay, hygienic neglect or some other issue will worsen and cause more damage if left unchecked. What starts as a small cavity can spread to the tooth’s root and result in a root canal or even total tooth loss. Gum infections and gum disease are also left to continue all too often, with devastating results. As always, Please contact our office with any and all questions and concerns you may have regarding your oral health. One common misconception is that losing your teeth is inevitable. 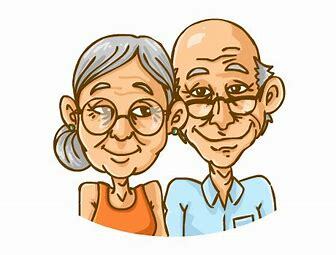 … If cared for properly, your teeth can last a lifetime. Your mouth changes as you age. The nerves in your teeth can become smaller, making your teeth less sensitive to cavities or other problems. Saliva helps clean teeth and protects your mouth from decay. But as you get older, your mouth gets drier and your odds of tooth decay go up. Medications: More than 1800 medications, both prescription and over-the-counter list dry mouth as a side effect. Many are common medications, such as antihistamines and antidepressants. XyliMelts may be helpful. Transportation: Patients who no longer drive may find getting a ride to the dentist difficult. There are many senior services that can help with transportation and your support of getting to the dentist. Consider asking friends and family to volunteer-or pay them to provide rides. Sometimes senior organizations, churches, and synagogues have volunteer drivers. Health Issues: Health issues may cause getting to the dentist a difficult task. Having treatments or being tired may make you put the dentist on the back burner, however, keeping up with oral health is important to your overall wellbeing. We constantly hear patients say that it is so important for them to keep as many of their teeth as possible. Cut those sugars and snacks!! Limiting your snacks and removing sweets from your diet is very important. Try cut up fruit as a substitute. Water, not juice. A glass of 100% juice a day is fine, but try to find one that does not have added sugar. Water should make up the rest of your day. See your dentist for regular check-ups, don’t put off anything that is painful and see your dental hygienist twice a year for cleanings.